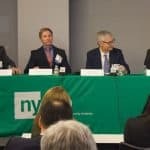 The CFA Society New York (CFANY) hosted the latest Asset Owners Series Conference, which offered rare firsthand insight into single family offices. Alvarez Symonette was a key organizer for the sold out conference that took place at CFANY Headquarters. 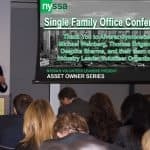 Nearly 200 industry participants attended with combined Single Family Office AUM of over 20bn. 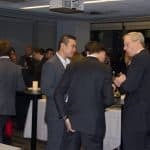 Many who attended were CFA Charterholders, and CFANY members. 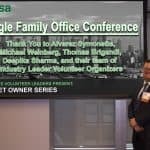 A third of the audience worked for single family offices. 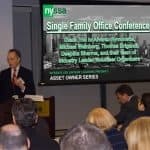 Keynote Speaker John Andrew Levin, CEO, Portfolio Manager, and Chairman of Levin Capital Strategies set the stage by highlighting 9 important pillars of the current single family office ecosystem. 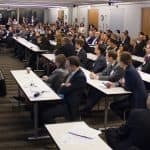 The keynote speaker was followed by a candid panel discussion consisting of four industry leaders with combined AUM of over 10bn – Andrew Eberhart, CIO of Heinz Family Office, Anthony E. Meyer, Chairman of Meyer and Co. LLC and President of Ocean Road Advisors Inc, Richard Slocum, CIO of The Johnson Company, and Clark Cheng, CFA, FRM, and CIO of Merrimac. 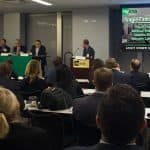 Michael Weinberg, Chief Investment Strategist at Protege Partners moderated and organized the panel. 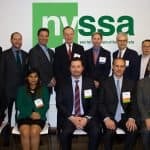 Strategies mentioned included investing in highly diversified, liquid, uncorrelated positions with specialists in niche markets. Avoidance of popular flooded markets was a particular challenge. 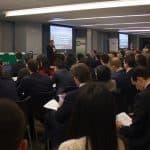 Questions varied widely sparking discussion on negative interest rates, commodities, correlation, fees, tax, philanthropy, and impact investing. Closed to the press and governed by Chatham House rules this conference provided the audience with a unique candid view of an otherwise private industry. The discussion was followed by a networking reception with an open bar and Hors d’oeuvres. 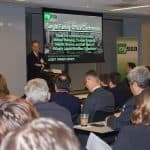 CFANY’s Asset Owner Series includes 10 evening programs in 2016 featuring asset owner CIOs who collectively oversee roughly 10 trillion assets. The Series will culminate with an Asset Manager CIO Roundtable featuring roughly 10 trillion in direct AUM oversight. 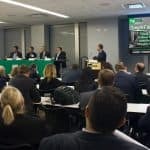 According to OEDC and World Pensions Council estimates, there is approximately $95 trillion in institutional investor (asset owner and asset manager) AUM globally. 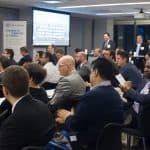 CFANY’s Asset Owner Series will feature industry leaders who collectively and directly oversee roughly $20 trillion in AUM, or more than one fifth of total institutional assets globally.